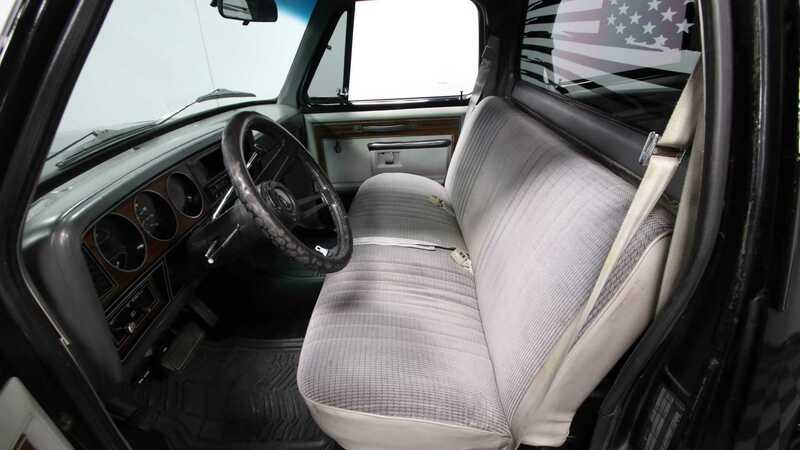 With just 31,389 miles on the odometer, this 1984 Dodge D150 Prospector still has a lot of miles to go ahead of it. Dodge introduced the D150 in 1978 as part of the D-series trucks. 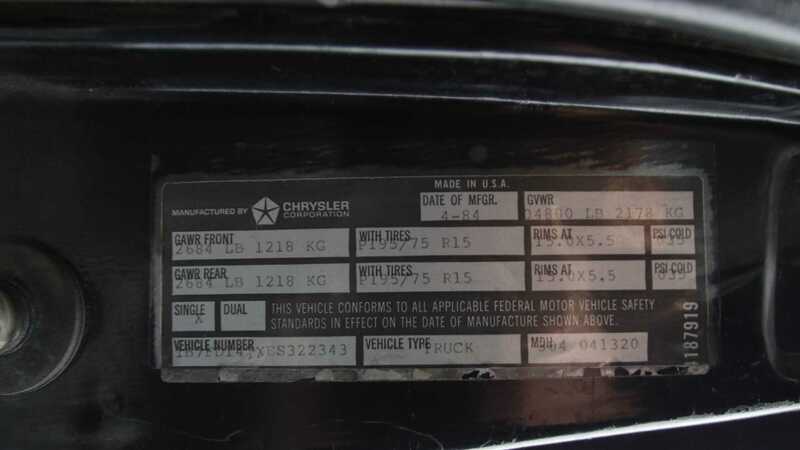 The D150 was manufactured through 1993 until it was replaced by the new Ram in 1994. During its more than two-decade production run, the D150 was available in two variants. 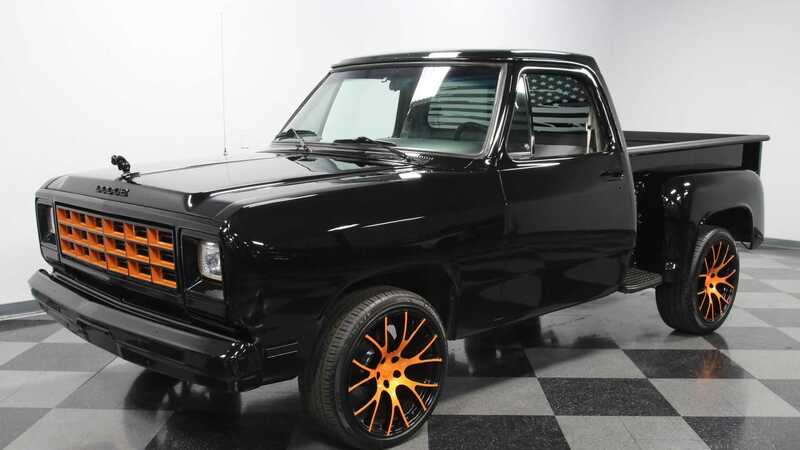 The first one was the regular cab with a short bed and the second one was a club cab with a long bed. 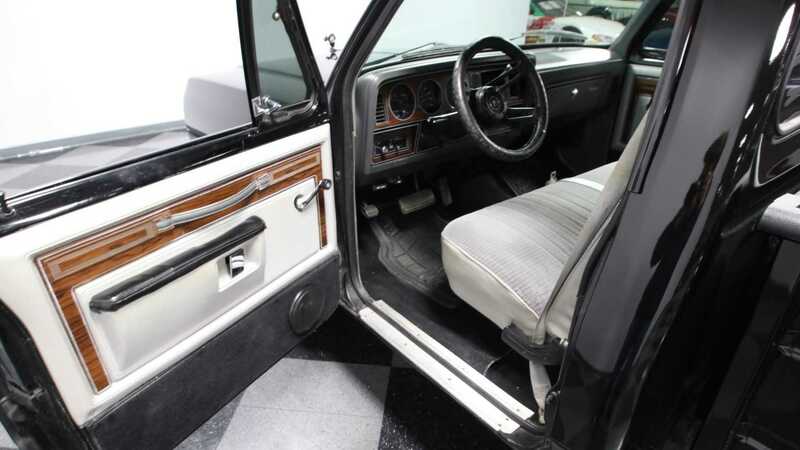 Regardless of the cab design and bed length, the D150 was either powered by a 3.9-liter V6, a 5.2-liter V8, or a 5.9-liter V8. 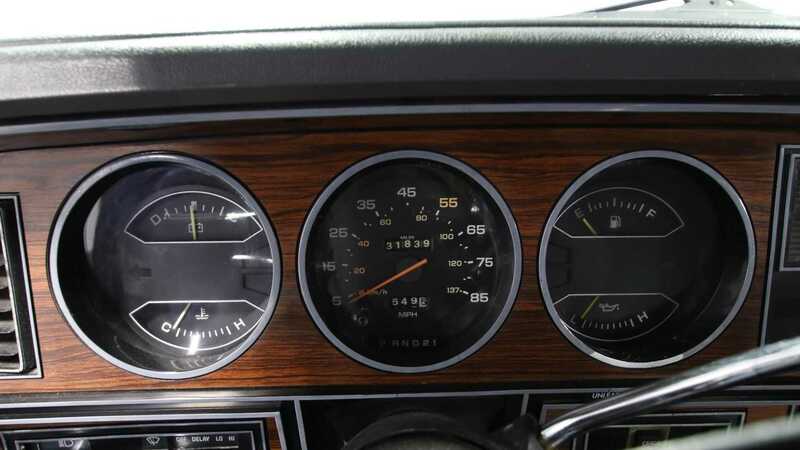 The V6 engine produced a respectable 180-horsepower while the two V8 engines produced 230-hp. 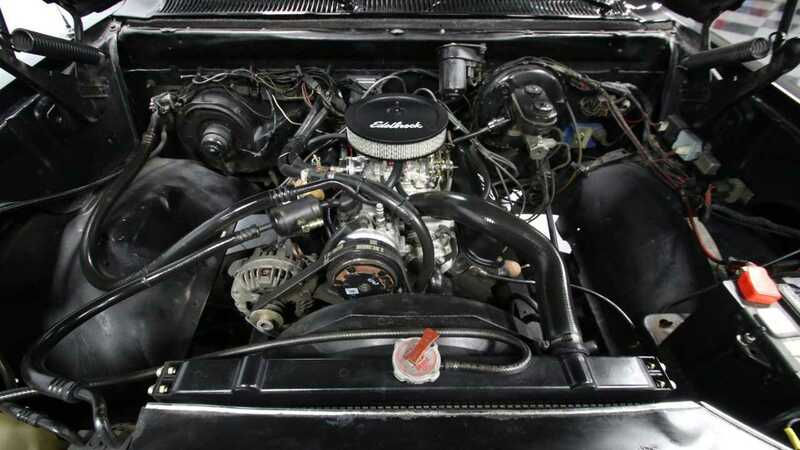 Power from the engine was sent to the rear wheels via the standard five-speed manual transmission. 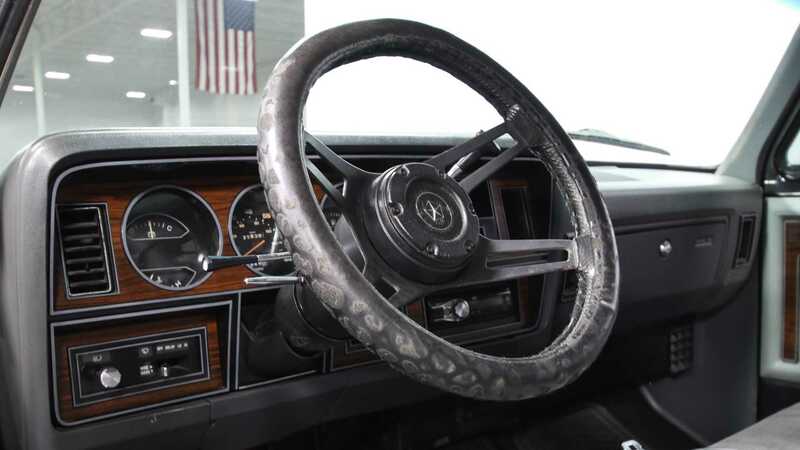 However, a three-speed automatic and a four-speed automatic with overdrive were optionally available. 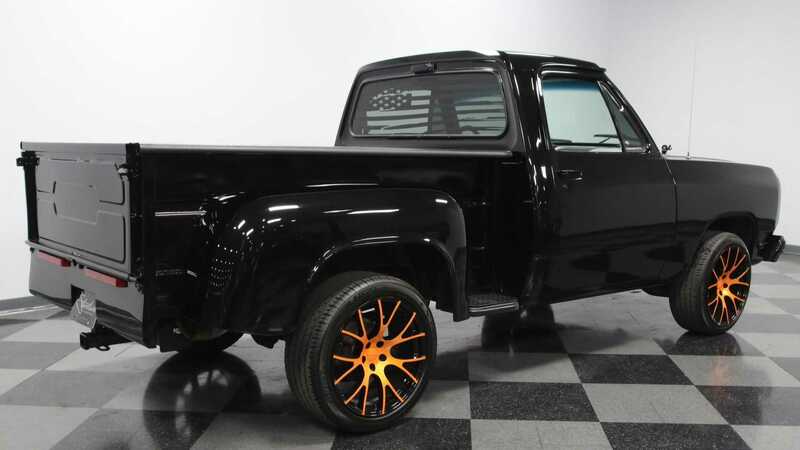 However, this particular 1984 Dodge D150 Prospector currently for sale at Streetside Classics in Concord, North Carolina looks to have avoided living the harsh and hard life of a work truck. 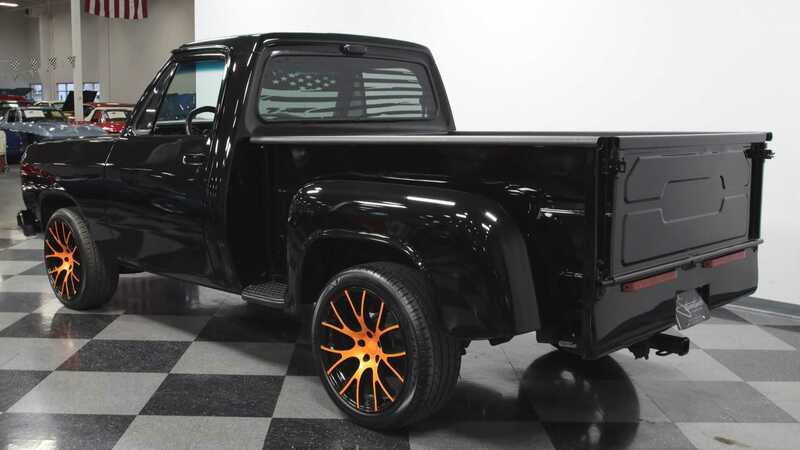 This truck is powered by a 318 cubic-inch, 5.2-liter V8 which produces 230-hp and is bolted to an optional three-speed automatic transmission. 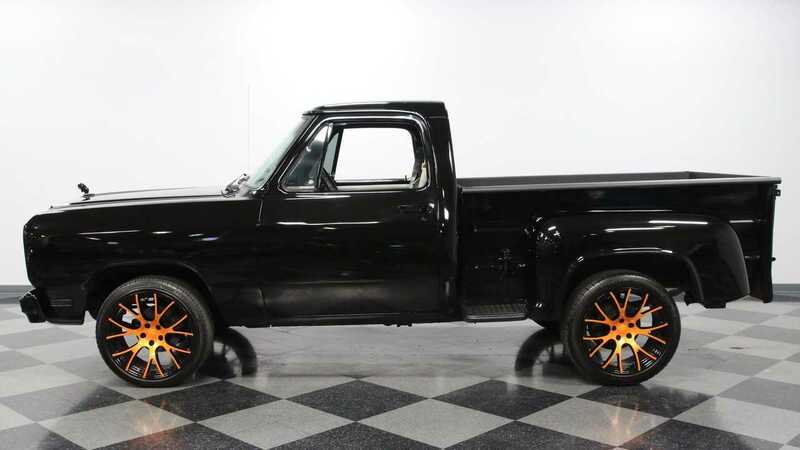 The listing states that this Dodge D150 was never used as a tradesman's work vehicle and instead is a very clean, solid truck with a lot of tasteful upgrades. 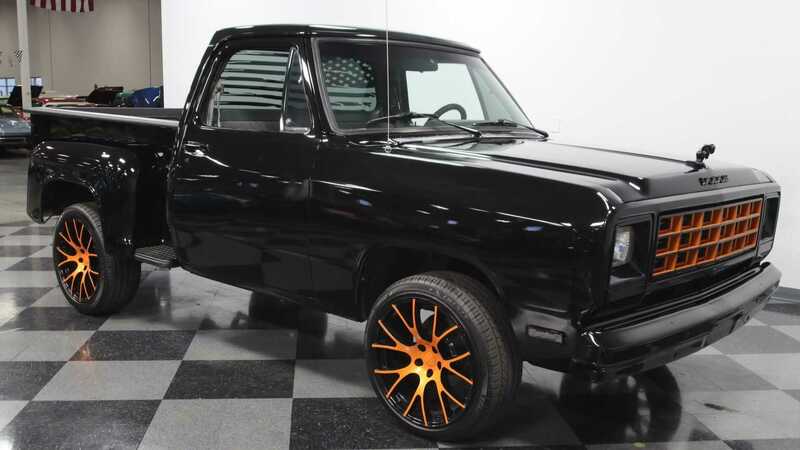 Everyone knows that maintaining a black colored vehicle can be a challenge, but the paint on this truck is flawless. The bed is in good condition with minimal wear, but it is ready to be loaded up if the new owner ever finds the need to do so. 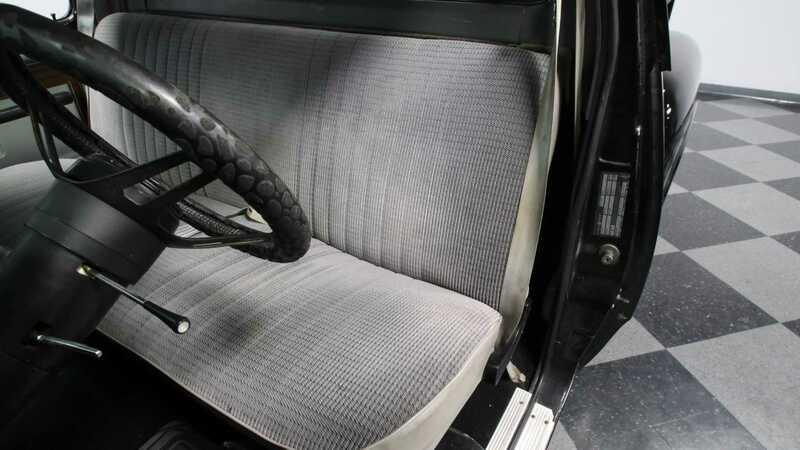 The listing also mentions that all original stainless steel trims have been either removed or body color-matched. 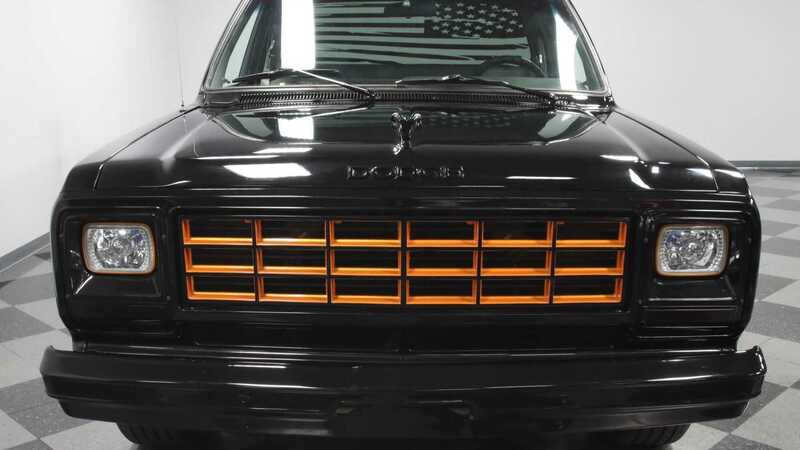 The standard chrome front and rear bumpers have also been color-matched while the chrome grill was painted orange to match the Mopar wheels. 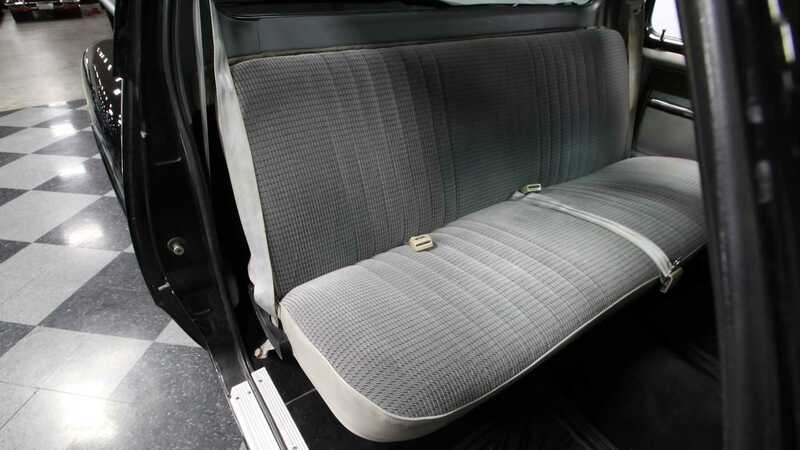 Inside, the original bench seats have been retained and are upholstered in a factory-style gray fabric. 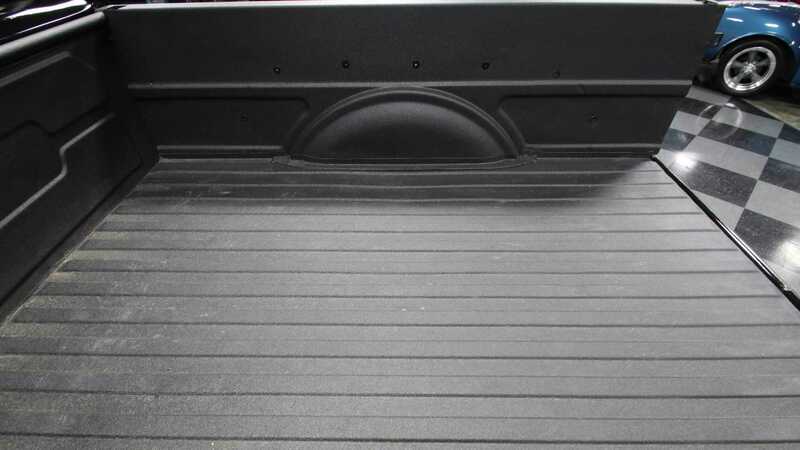 However, the original rubber mats have been replaced with newer carpet mats. 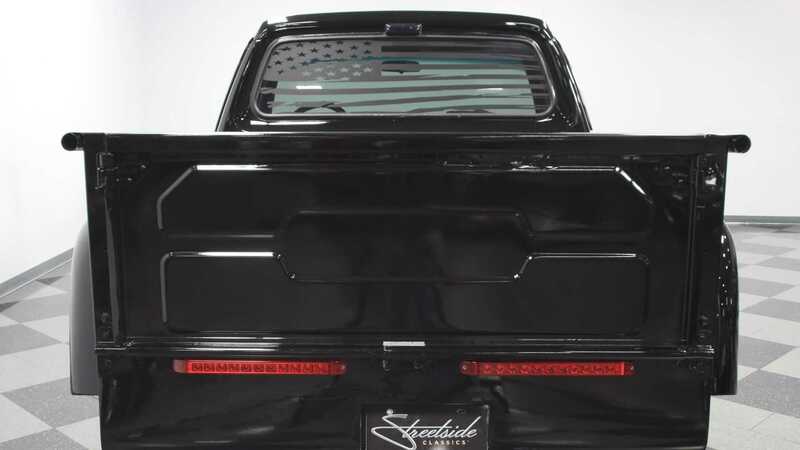 The door panels were refreshed with new lower kick panels which now feature built-in speakers. For music lovers, an AM/FM/CD stereo has been added and is connected to the speakers. 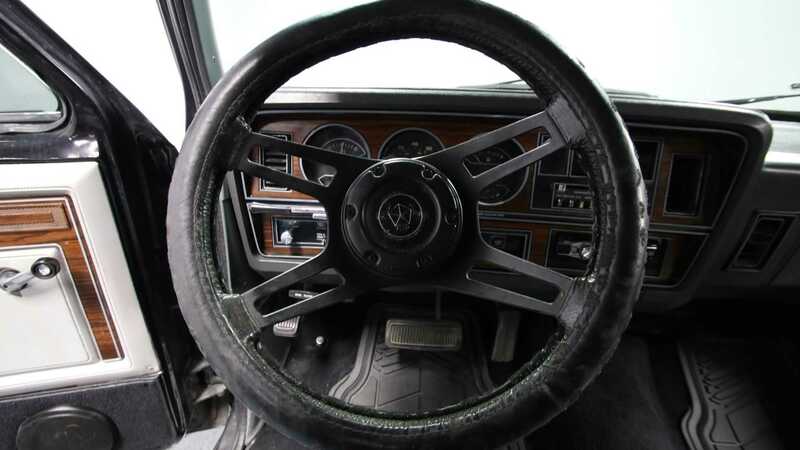 Last, but not least, the tilting steering column is capped by a beefy and sporty four-spoke steering wheel. Under the hood, the 318 cubic-inch V8 appears to be in good operating condition and is visually enhanced with a color-matched Edelbrock air cleaner and valve covers. Recently, a new distributor along with coil, timing chain, and water pump were changed as well. 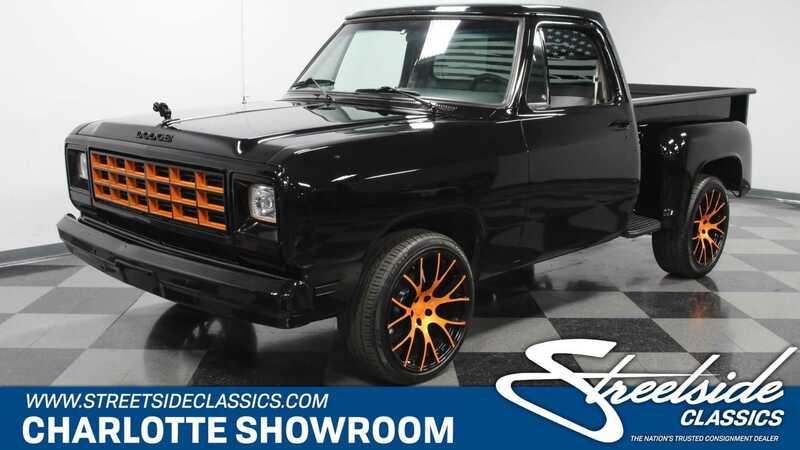 If you are currently in the market for a well-maintained truck from the 1980s to cruise around town with this summer, then you should definitely check out this 1984 Dodge D150 Prospector with 31,389 miles on the odometer currently for sale at Streetside Classics for $19,995.